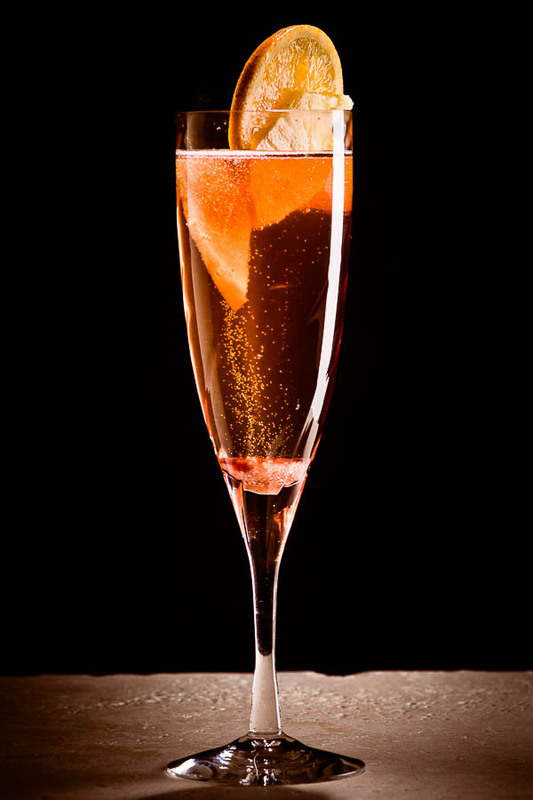 The earliest of the lot is a variant of the Champagne Cocktail. It’s been around since at least 1903—coincidentally, the year Henry Ford incorporated the Ford Motor Company. In 1903, car makers were still trying to figure out just what an automobile should be and how it should work. The technology was still exotic, fascinating, and expensive. Some early attempts were merely converted horse carriages, but many experiments were brilliantly inventive, and some were beautiful and luxurious. A few were just downright odd. Automotive entrepreneurs—inventors, really—came out of the woodwork in the late 1890s and early 1900s. Most companies and their products faded into obscurity quickly; others, like Stanley, with their famous Steamer, and Pierce, with their gorgeous Arrow, gained enough fame to at least become lasting mileposts in the industry. 1903 was still early times in the rise of Cadillac, Oldsmobile, Auburn, and Packard. The automobile was new tech, changing cultures and economies, and it caught the public’s imagination. And as we’ve seen many times, where the popular imagination goes, a commemorative cocktail won’t be far behind. It seems to be Boston’s Tim Daly that published the earliest cocktail celebration of the automobile. Daly was bartender at Boston’s Parker House hotel, and in 1903 published Daly’s Bartender’s Encyclopedia . Put all ingredients in a tall champagne stem, add a small lump of ice, and top with champagne. Daly’s Automobile is a fruity Champagne Cocktail, slightly bitter-sweet, with the expected, gentle pineapple-citrus nose. It’s quick and simple to make, low in alcohol, and very light on the palate. Its recipe makes it a natural for brunch menus, alongside Mimosa, Bellini, the Bloody Mary, and, of course, the straight Champagne cocktail, but for some reason, this version of the Automobile never seemed to catch on. The name no longer has the cachet of more exotic-sounding drinks like “Mimosa” and “Bellini,” but it would please me to see the champagne Automobile take on new life alongside those poetically named drinks. The other interesting Automobile Cocktail is from the mid-1930s, my favorite years in automotive design. This was the era of Auburn’s Boattail Speedster, the 1937 Cord, the Delahaye roadster, and the grand Duesenbergs; it’s little wonder that another Automobile Cocktail should appear at the same time, this one from Frank Meier ( The Artistry of Mixing Drinks , 1936). Meier abandoned the brunch concept entirely. 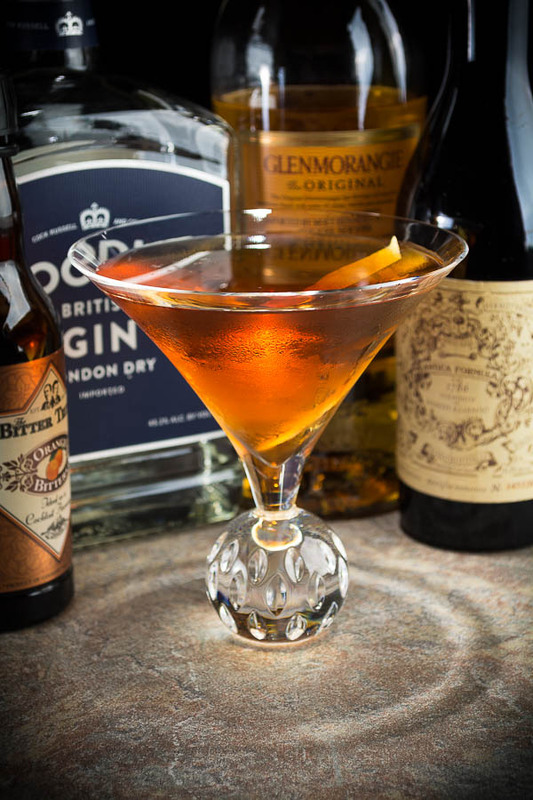 His Automobile is a traditional evening cocktail of Scotch whiskey, gin, and sweet vermouth. In the unlikely event that you encounter the Automobile in a cocktail manual, it will probably be this version. Stir well with ice and strain into cocktail stem or rocks glass. Scotch can be a tough customer in a cocktail, but it seems to work here. If you’re a Rob Roy fan, this one should go down easily. I usually avoid peaty Scotches for cocktails. Blends like Famous Grouse or mid-range single malts like Glenmorangie work well in the Automobile. As for the gin, juniper-forward London Dry gins are well-suited to this formula. The best bet, in my opinion, is my old standby Tanqueray. I’ve also made the Automobile with Boodles, which is a little softer and noticeably sweeter. And on a whim, I mixed it with Bols aged genever, which was an even better combination than I expected. It doesn’t exactly fit Meier’s original call for “dry gin,” but it works very nicely with the whiskey, and its malty base and moderate aging in oak make it a great alternative. Dolin Rouge is a good choice for the vermouth. It tempers the Scotch without obscuring it with excessive herbs and spices, and its sweetness is balanced just about right against the Scotch’s dryness. I’ve seen recipes that call for upscale vermouths, particularly Carpano Antica; in my opinion, Carpano is too sweet, and perhaps too spicy, for the Automobile, at least in the equal-parts proportions suggested by the original recipe. Dolin is just right here. These two cocktails are as different from each other as the automobiles they salute, as different as a Duesenberg from a Model-T. But they both mark exciting times in the invention, and the maturing, of a new technology, and both deserve to be remembered as markers on a vintage highway. “The Automobile Cocktail, Two Ways” at cold-glass.com : All text and photos © 2015 Douglas M. Ford. All rights reserved.